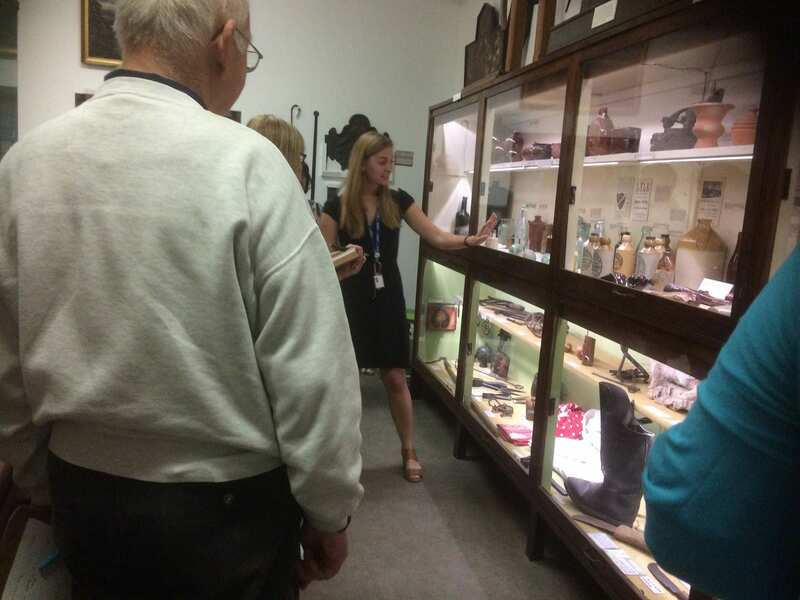 Fig.1 Delivering a guided tour at Tunbridge Wells Museum & Art Gallery. I chose Visual Culture as my BA at Brighton because I liked the wide scope of the course. Throughout my degree I kept choosing options and essays that were related to museum studies – this surprised me because I hadn’t thought of a career in museums. The option ‘Behind the Scenes’ enabled me to do a placement in the Fine Art Department at Brighton Museum & Art Gallery, which introduced me to the practical side of museums. 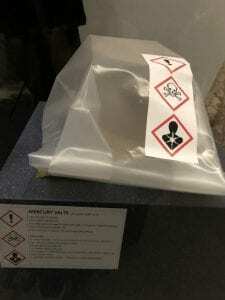 I stayed on as a volunteer and had the opportunity to assist with exhibitions and write interpretation labels. The experience led me to pursue a career in museums and helped me secure other opportunities in the sector. Fig. 2 Treasures from the waistcoat collection. Costume display at Tunbridge Wells Museum & Art Gallery. Author’s photograph. After my BA, I took a year out for travelling and working. Although I worked in retail, I kept my museum connection alive by volunteering as a gallery steward at The Holburne in Bath. This was my first introduction to visitor services, which I really enjoyed as I got to engage with a variety of visitors. I then went on to complete a MSc in Visual, Material and Museum Anthropology at University of Oxford. I chose the course as it offered critical engagement with the origin of museums and their collections, their purpose and relationships with source communities. It also introduced me to a new discipline: anthropology, which gave me a fresh perspective on material culture and museum studies. The course was based at the Pitt Rivers Museum and some of my tutors were curators there, which offered an interesting insight into working with ethnographic collections. During my MSc I completed a paid internship in the Photographs & Manuscripts collection at the Pitt Rivers. I catalogued and digitised a collection of early 20th century photographs taken by a German geologist during expeditions in Asia. The internship developed my skills in documentation which are essential for collections management. 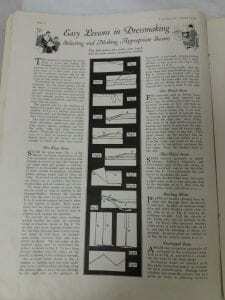 It was also very satisfying as the digitisation and cataloguing made the collection visible and accessible. 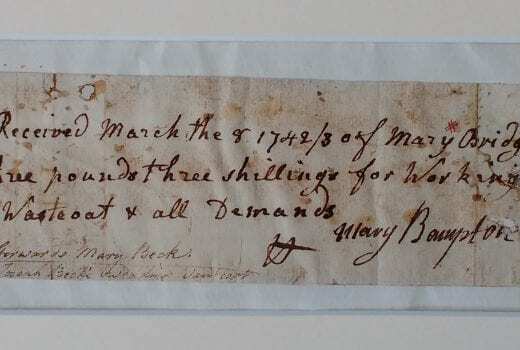 Fig.3 Original receipt for wedding waistcoat, 1742/3. Author’s photograph. After graduation, I got a job as Visitor Services Assistant at Tunbridge Wells Museum & Art Gallery – I was only meant to be there for three months but I’ve ended up staying for more than two years! I’ve had three jobs since I started here, and currently I’m part-time Documentation Assistant and part-time Visitor Services & Admin Officer. There is still a strong disconnect between Front of House staff and ‘Behind the Scenes’ staff in museums so my two positions allow me to bridge the gap. 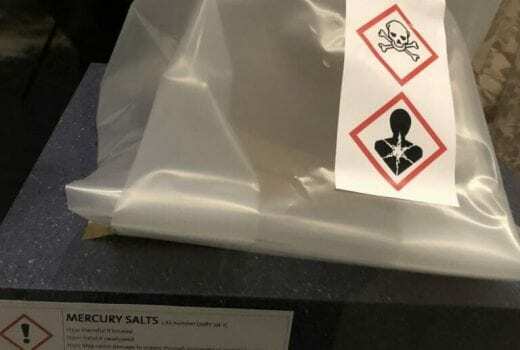 Working in a small museum can be incredibly rewarding as the workload can be very varied, which is perfect for developing skills in new areas. Since I started working here, I’ve been involved in exhibition installations and collections work even before I started my collections job. I’ve had the opportunity to give guided tours of the collections which has boosted my confidence in public speaking (Fig.1). Another aspect I’ve enjoyed is supervising volunteers and work experience students, as you get to pass on your passion for museums and support others in developing new skills. Fig. 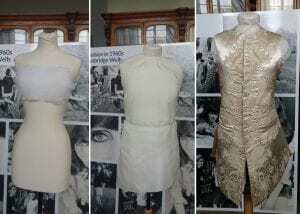 4 Stages of mounting the wedding waistcoat. Author’s photograph. One of my highlights this year has been the costume display I curated and mounted. Costume is a new subject area for me so it has been exciting to expand my knowledge and learn how to mount costume. 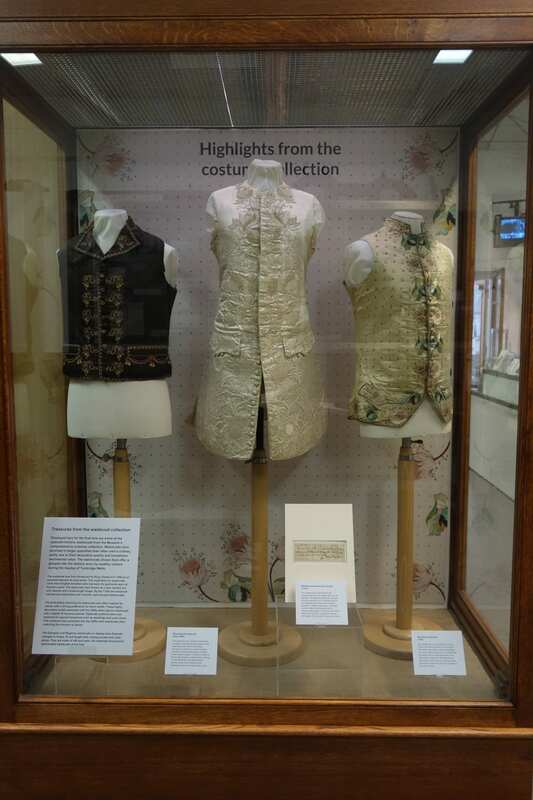 The museum has an excellent costume collection – I chose men’s waistcoats to highlight men’s fashion and to showcase some of the treasures in the collection (Fig.2). The selected Georgian and Regency waistcoats are all highly decorative but they also illustrate changing shapes and styles. The star of the display is the silk wedding waistcoat (1743) complete with original receipt (Fig.3). The latter not only tells us who commissioned it (the bride) but also who made it (Mary Bampton) and how much she was paid (the equivalent of a month’s wages). It is extremely rare for women makers to be documented which is why it is so incredible that this receipt has survived. The wearer had very narrow shoulders which made it a challenge to mount the waistcoat. All our male mannequins were too broad so we had to be creative and use a female mannequin instead. We created a flat chest with wadding and then filled the sides and padded the upper back with wadding to mould it into a male shape (Fig.4). The museum is about to start a big project as we have received HLF and Arts Council funding to expand and redevelop the building and galleries and integrate services. We are now gearing up towards decanting the collections to off site storage which will be my priority for the next 6 months. My future plans? I want to keep developing my expertise in collections and curation and a PhD is also on the list! 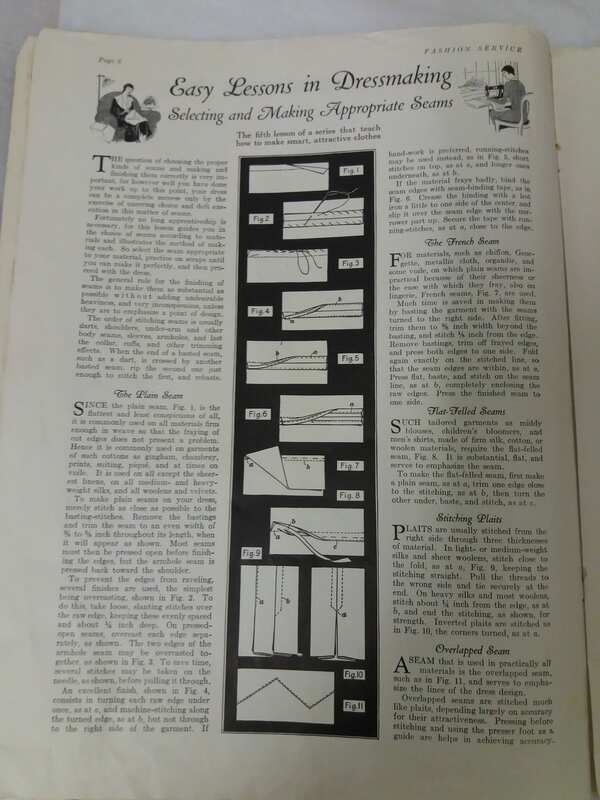 Figure 1: Easy Lessons in Dressmaking article from Fashion Service: Woman’s Institute Magazine (January 1931) from the collections of the Royal Albert Memorial Museum. Photograph taken by the author. 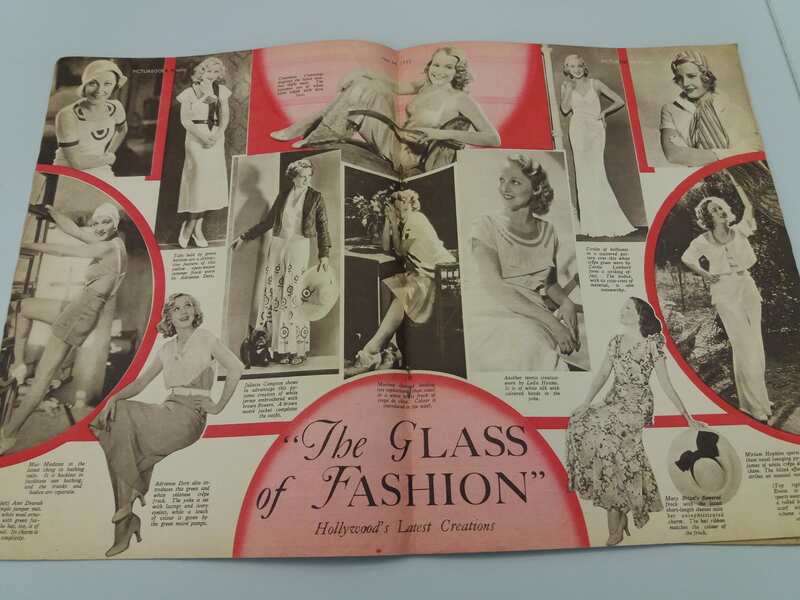 I am currently writing my History of Design and Material Culture MA dissertation on the topic of dress patterns, and the influence that Hollywood film costumes of the 1930s had on the pattern industry. 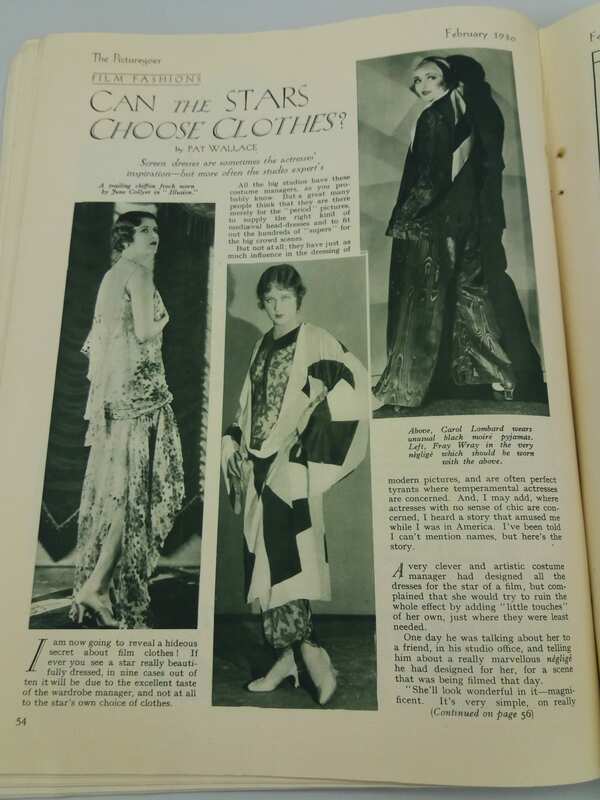 I am particularly interested in film costumes worn by the actress Katharine Hepburn, and am focusing my research on two of her films from the 1930s, Christopher Strong(1933) and Alice Adams (1935). Both of these films featured costumes that were produced and sold as dress patterns by the Hollywood Pattern Company and Butterick Starred Patterns. 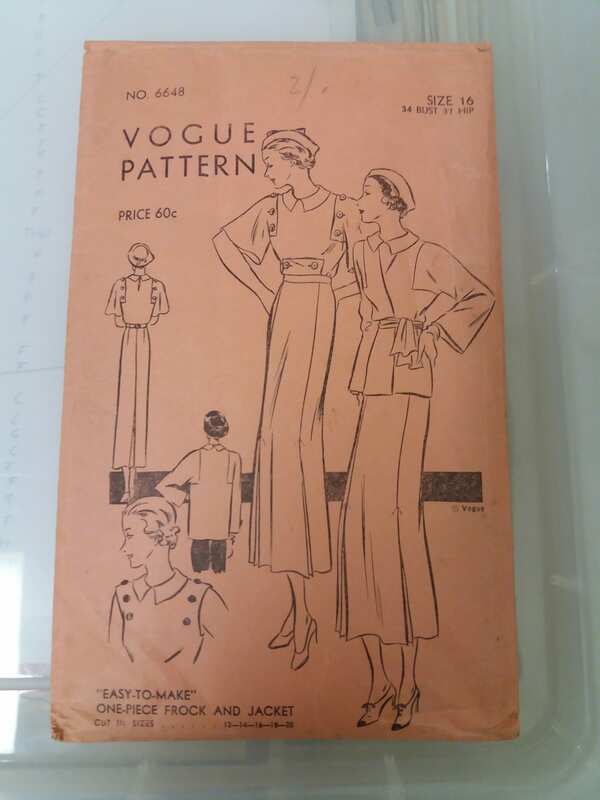 By analyzing these dress patterns, and recreating the jacket from a copy of the Butterick Starred Pattern that I have been able to purchase, I hope to discover more about the dressmaking skills of women of the period and how easy these patterns were to construct. I aim to find out how much of an influence Hollywood stars such as Hepburn, were on women and whether the designs had any impact on the fashion trends of the decade. Figure 2: Can the Stars Choose Clothes? by Pat Wallace, The Picturegoer (February 1930) from the collections of the Bill Douglas Cinema Archive, Exeter University. Photograph taken by the author. My research so far has taken me to varied museums and collections across the country, and even to one in America that I’ve been able to access from the comfort of my own home! I have been to look at 1930s film magazines in the Bill Douglas Cinema Museum Archive at Exeter University, read through first hand accounts of 1930s fashion and dressmaking trends in the Mass Observation Archive at The Keep and researched the impact of celebrity dress in the V&A’s Vivien Leigh Archive at Blythe House. I have also investigated examples of 1930s Hollywood ‘tie-ins’ in the V&A’s costume collection, looked at patterns and sewing magazines at the Royal Albert Memorial Museum in Exeter and viewed examples of 1930s dress in the costume collection at the National Trust’s Killerton House in order to find evidence of Hollywood’s permeation of 1930s fashions. The online Commercial Pattern Archive from The University of Rhode Island has proved to be an extremely useful database for searching patterns and looking at the different styles of garments that were produced for home sewers. I was introduced to the archive through Joy Spanabel Emery’s book A History of the Paper Pattern Industry: The Home Dressmaking Fashion Revolution. 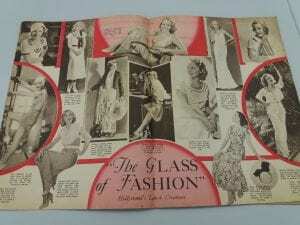 Figure 3: The Glass of Fashion article, Picturegoer Weekly (May 14 1932) from the collections of the Bill Douglas Cinema Archive, Exeter University. Photograph taken by the author. I am very fortunate recently to have received The Costume Society’s Yarwood Award, 2018, which commemorates the work of costume historian Doreen Yarwood, by helping an MA student with expenditure relating to their dissertation. Through getting this award, I can now finance more research visits to collections that I have since discovered have links with my dissertation topic and I am planning to visit Worthing Museum and the Museum of London very soon. 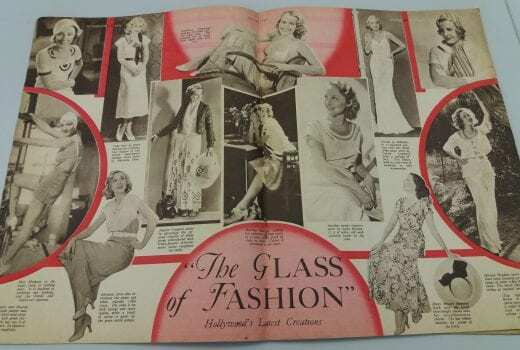 I would like to find more examples of dress that I can match to patterns produced in the 1930s and I am also on the lookout for any rare examples of clothes copied from film costume designs that were manufactured and sold through tie-ins with the big Hollywood studios. 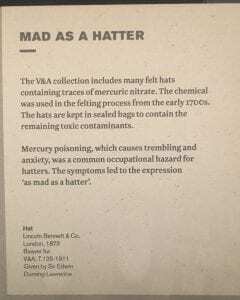 I would appreciate any advice if anyone knows of an archive or collection that would be particularly useful to my research. Figure 4: Vogue Pattern No. 6648 from the collections of the Royal Albert Memorial Museum. Photograph taken by the author. 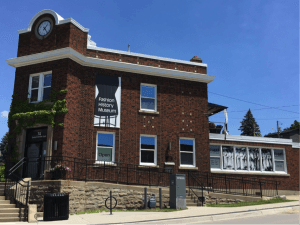 Figure 1: Exterior of the Fashion History Museum, Cambridge, Ontario. Photograph taken by the author. June 29th 2018. Since beginning my Fashion and Dress History BA, I have made it my goal to visit the Fashion History Museum in Cambridge, Ontario every time I go home to Canada for the summer. The Museum was initially founded in 2004 by curator Jonathan Walford, formally an assistant curator at the Bata Shoe Museum in Toronto, and his partner Kenn Norman. Initially, the Museum had no permanent space to display objects from their collection of over 10,000 garments but in 2015 the Museum found its permanent home in Cambridge at the site of a former post office (Fig 1). Since its inception at the former post office, the Museum has successfully displayed different temporary exhibitions each year such as 2016’s To Meet the Queen: What to Wear in the Presence of Royalty, and A Canadian Fashion Story: Pat McDonagh 1967–2014; and 2017’s Fashioning Canada from 1867 and Dior: 1947-1962. This year Walford put together an exhibition entitled 101 Tales of Fashion, which displays a very eclectic selection of objects from the collection. These range from an early eighteenth century French court male waistcoat, to a pair of 1984 Chinese beaded shoes. Despite the eclectic object and garment choices, as the exhibition title suggests, all of these objects are united not by their appearance but by the “interesting stories, tales, myths, & gossip” they tell to audiences. Figure 2: Christian Dior for Holt Renfrew. Afternoon Dress. 1954. Silk and taffeta. Montreal, Canada. Photograph taken by the author. June 29th 2018. Figure 3: Alnaluaq Totalik. Parka. Felt and wool, trimmed with racoon. c.1980. Taloyoak, Canada. Photograph taken by the author. June 29th 2018. 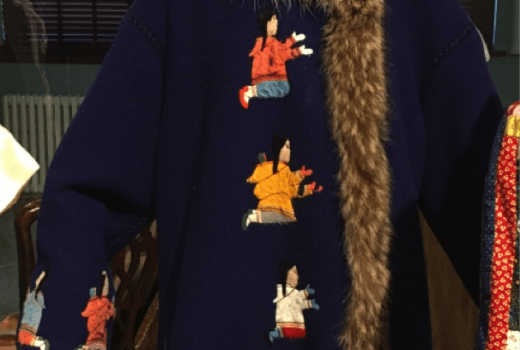 The second object is a parka made in 1980 by Canadian designer Alnaluaq Totalik in Taloyoak, Nunavut, Canada — though at the time of its making it was known as Spence Bay, Northwest Territories (Fig 3). Due to the lack of sunlight and extreme cold throughout parts of the year in northern Canada, the parka has become an essential part of the First Nations’ wardrobe. It identifies the wearer, through use of colour and design, and protects them from the cold with the extended torso length, fur-edged hood and front closure. There are very limited secondary sources for the history of Taloyoak’s designs, but this could prove to be an interesting area for future research. The final object is a pair of silver leather platform boots made by John Master in 1974 in Toronto, Ontario (Fig 4). 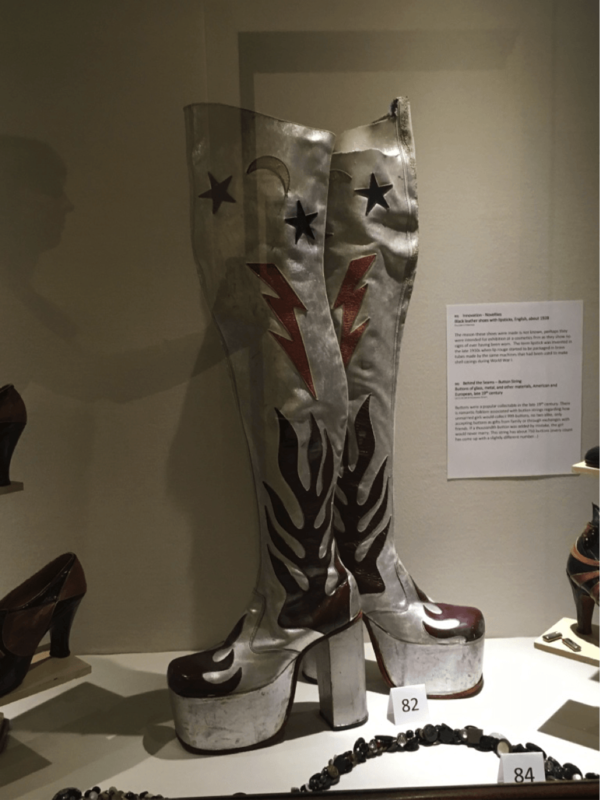 These boots tell the story of how Master became “Canada’s disco diva answer to English rock ‘n’ roll cobbler Terry de Havilland.”[iii] After immigrating to Canada from Greece in 1970, Master opened a shoe shop in downtown Toronto and quickly caught on to the hype around platform shoes and boots. This fashion trend was permeating through the youth, led by bands such as AC/DC and Black Sabbath. At the height of the platform footwear craze, it is reported that Master sold over 300 pairs of footwear per week. When the craze died down in the late 1970s, Master changed his shoe output to focus on cowboy boots creating a very contrasting clientele; he died in 1996. 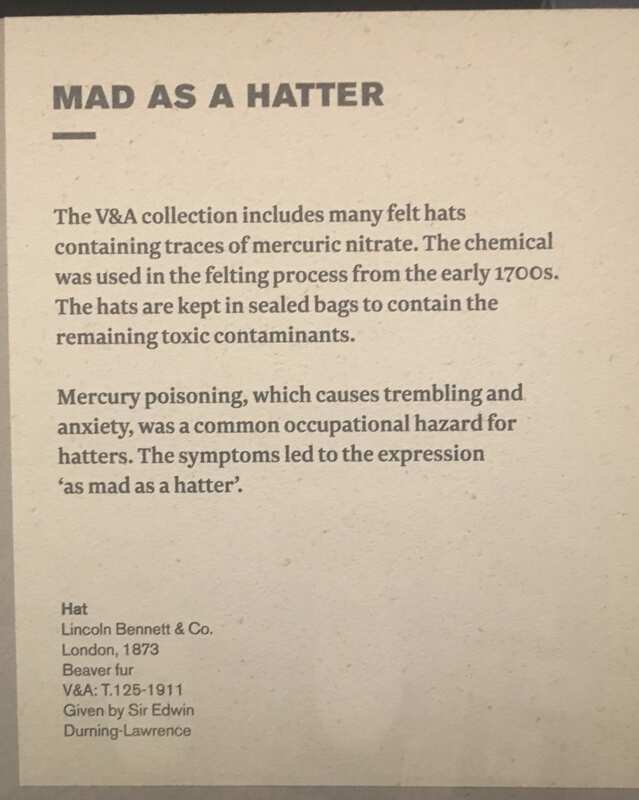 From these three examples, one can see the eclectic range of objects in this exhibition, but also the interesting stories that all of these objects tell. 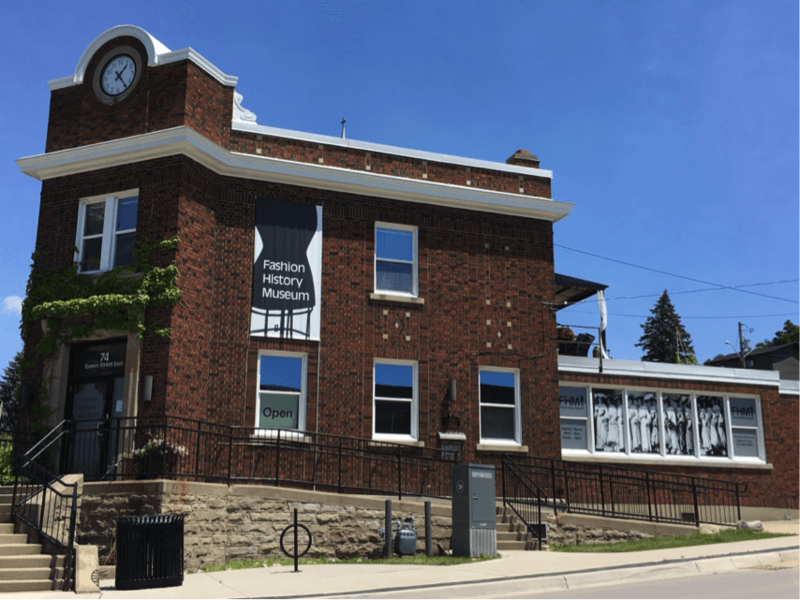 Despite the Fashion History Museum’s small size, it provides a promising location in southern Ontario to educate and display fashion and its history. Curator Jonathan Walford also has a blog that is updated weekly with interesting stories and objects about fashion. [i]Alexandra Palmer, Couture and Commerce: The Transatlantic Fashion Trade in the 1950s(University of British Columbia: Vancouver, 2001) 117. [ii]Palmer, Couture and Commerce, 119-120. [iii]Nathalie Atkinson, “Stardust Memories,”Globe and Mail.17 June 2017. Web. 19 July 2018, https://www.theglobeandmail.com/life/fashion-and-beauty/fashion/the-history-of-the-master-john-platformheel/article35284918/.